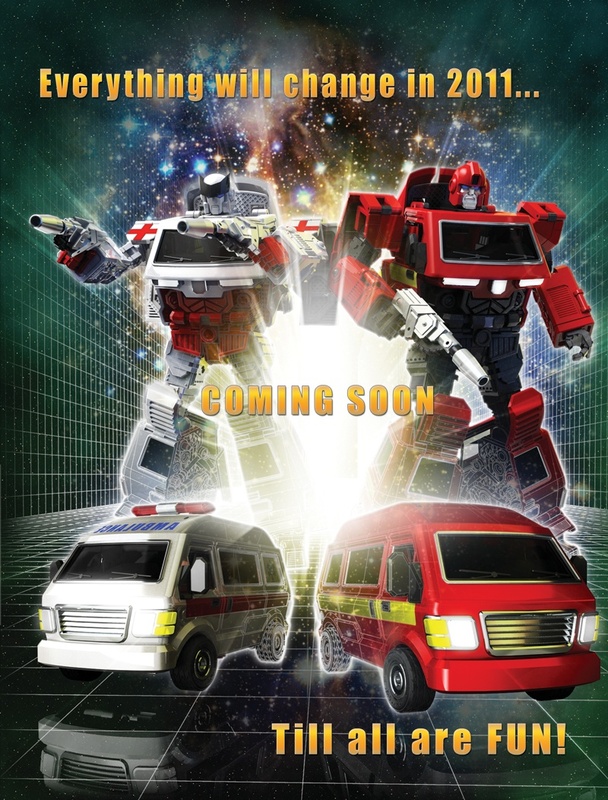 They then release prototype pics showing the bot and alt modes, and the assortment of weapons and accessories. Unlike iGear's previous products like the PP01 Leaders and PP03 Seeker jets, PP05 is a new, original design. I was impressed and very excited to get them both! But then there was a dark period of numerous delays. End 2011 release date got pushed back to early 2012 and beyond, until I feared this product would get cancelled altogether. Won't be the first time iGear cancels a product. Finally in August 2012, iGear announced they are shipping out the PP05s! After another agonizing few weeks of waiting for shipping, I received my pair of PP05W Weapon Specialist (Ironhide) and PP05M Medical Specialist (Ratchet)! Back of the PP05W box with Weapon Specialist bio data. Back of the PP05M box with Medical Specialist bio data. 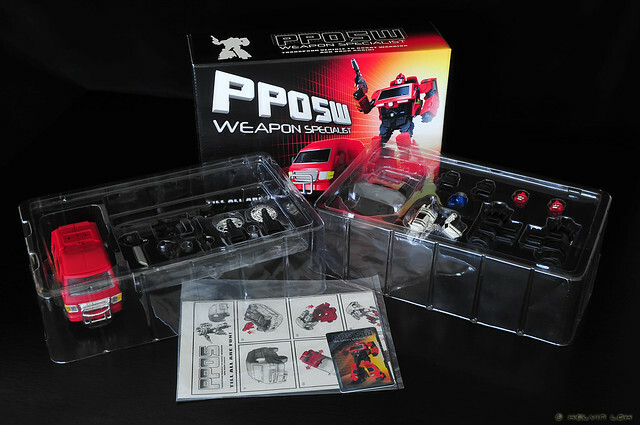 PP05W box contents. The amount of included weapons and accessories is awesome! 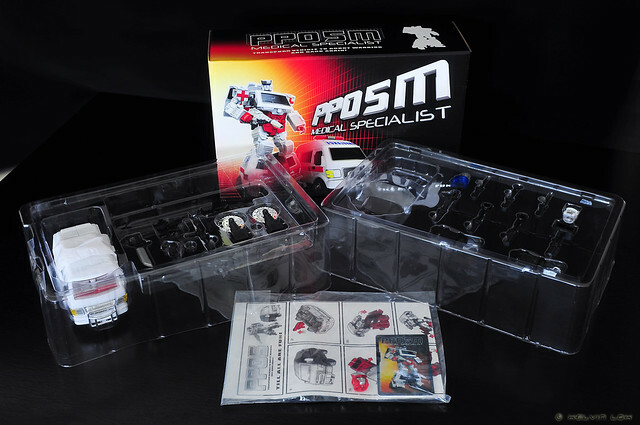 PP05M box contents.The packet with instructions and biocard includes another alternate red head for Medical Specialist/Ratchet. I will be reviewing the actual toys and weapsons/accessories in future posts. Too many photos and details to cramp into just one post. :P So stay tuned!